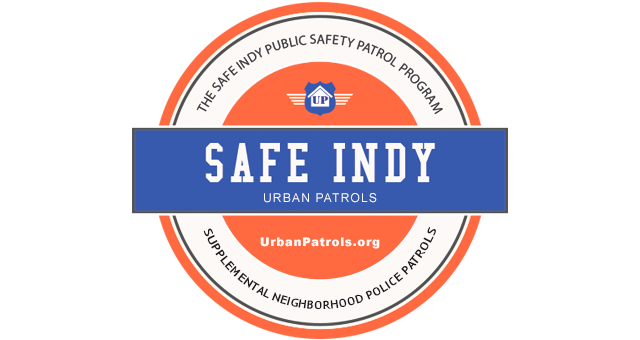 The Safe Indy Public Safety Program increases public safety in the King Park neighborhoods. Public safety funds are collected from King Park residents and business owners on a monthly basis for supplemental police patrols. The cost is $25/month for residents and $50/month for businesses. Member properties form the patrol route for the officers, plus members receive additional benefits such as vacation checks, detailed patrol reports, a "Police Patrolled" yard sign, and special requests. You can support public safety in the King Park area for only $50/month. 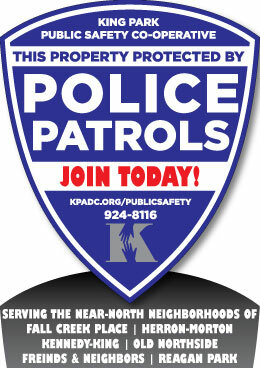 Your contribution will be publicized in the monthly patrol reports. When you help support Indy's neighborhoods, residents will want to support your business!